An addiction to gambling doesn’t happen overnight. The rate of progression varies greatly, and certain types of gamblers (mostly those playing "skill" type games of chance) may gamble for years or even decades before becoming pathological in their addiction. Other gamblers, particularly those who gamble for escape, or who gamble on games such as slot machines or video poker terminals, may progress much more rapidly. Regardless of the rate of progression though, gamblers move from recreational gamblers to problem gamblers to gambling addicts through three distinct stages of behavior. Most people gamble as a form of recreation, never risking more than they're willing to lose, and don’t spend much time thinking about gambling other than during rare outings. All people start as recreational gamblers, but a small percentage, about 5%, will move beyond this recreational stage at some point, and gambling will begin to exert a real influence over behaviors. Although most gamblers consider time spent in the winning stage a relatively positive period, even winning stage thinking represents a decent into compulsion, and the beginnings of a serious problem. Gambling activity increases in frequency – Gambling may still occur only at intervals, but there is a reduction in time between gambling sessions. The person begins to attach importance to gambling as a life activity. Gambling is still seen as a wholly positive and fun activity. The gambler likes the euphoria or escape offered by gambling. Often problem gamblers will enjoy a winning streak, or a single large win – wins that help to further justify an increase in gambling behavior. The person begins to think of themselves as a gambler and will often tell gambling stories. During winning periods, the gambler may start to believe that they have a special talent or ability as a gambler. The gambler experiences no real problems from their gambling during the winning phase. Gambling is seen as a positive experience, and family and friends rarely have a problem with it. The duration of the winning phase can vary greatly. Some people may bet at the track for many years in the winning phase, while some video terminal gamblers may move through this phase in only weeks. The frequency of gambling increases. Gambling may become ritualized. A tolerance develops; gamblers need to bet more to feel the same euphoria. Gamblers in the losing stage often need to bet more to feel the same effects. Gamblers begin to chase losses, feeling a need to win back gambling losses as soon as possible. More free time is spent gambling. Family life and work may begin to suffer from neglect. The gambler begins to require loans from friends or family, or may take out bank or credit card loans. The gambler may start hiding the extent of their gambling from others. 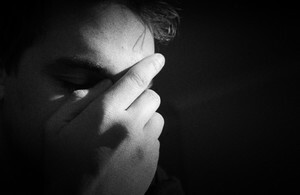 Losing phase gamblers start to experience anxiety or depression from their financial situation. The gambler may try to quit, but ultimately fail. The gambler will often deny, even to themselves, that gambling is a problem, and still believe that they can handle their gambling. Financial pressures mount. The gambler may start selling belongings, or may even engage in criminal acts to get money for gambling. Sleep may be affected, health may suffer. The gambler becomes increasingly isolated from loved-ones. During the desperation phase, about 20% will attempt suicide and almost all will consider it – 60% will commit a crime and 20% will get arrested for their criminal activities. Although the sometimes long winning phase appears at the surface, harmless, it is during this phase that intervention and treatment is best provided. Gambling addicts can achieve remission through treatment at any phase in their addiction, but as with all addictions, the earlier treatment begins, the better the prognosis.